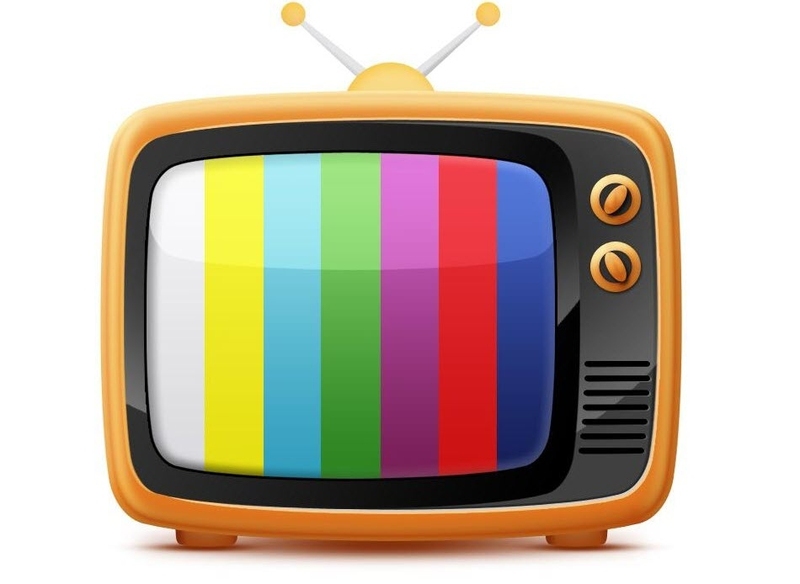 Which TV shows are worth your time? Let's find the most promising shows of the season, and add a few new names to your DVR lineup. After several misbegotten stabs at period dramas, Starz scored with this buzzy adaptation of Diana Gabaldon's series of historical fantasy novels. Caitriona Balfe stars as a World War II combat nurse who travels back in time to Scotland's civil war in 1743. It might sound a little goofy, but Outlander sells the premise with style, leaping deftly from genre to genre for a story that's not quite like anything else on television. Hilary Mantel's brilliant novel about the court of King Henry VIII - told from the perspective of his often-maligned advisor Thomas Cromwell - gets a lavish small-screen adaptation. Tony-winning stage actor Mark Rylance stars as Cromwell, leading a cast that includes Homeland's Damian Lewis as King Henry. Wolf Hall's dense reappraisal of British history packs in all the political intrigue of Game of Thrones, and a faithful adaptation should prove no less addictive or hypnotic. What's left to be said about Mad Men? AMC's brilliant drama, which centers on a Manhattan advertising firm in the 1960s, has already secured its place among the great shows in television history. Last year's set of episodes, which made up the first half of Mad Men's final season, were some of the best in the show's entire run, and the show's sprawling ensemble cast is as deep (and uniformly excellent) as ever. With just seven episodes left, it's going to be hard to say goodbye to Mad Men, but that's no reason to miss a single second of the show's final hours. A justified critical darling, Louie C.K. 's experimental sitcom is one of TV's most unpredictable shows; by playing freely with form and style, C.K. ensures that viewers never know what they're going to see when they tune in. With Louie C.K. serving as creator, writer, director, and star — as well as a host of other jobs — Louie is one of TV's few true auteur projects. Watching an episode is like getting a glimpse into the acerbic comedian's brain. Marvel extends its superheroic empire with the first of four Netflix-exclusive dramas. Charlie Cox stars as Daredevil, a blind superhero who fights crime using his enhanced other senses. (The remaining three shows — centered on Jessica Jones, Iron Fist, and Luke Cage — will premiere later, with a miniseries combining all four characters to follow.) Daredevil has a fiercely loyal following among comics fans, but the first major adaptation of his story, which starred Ben Affleck, failed to connect with audiences in 2003. Since then, Marvel has essentially rewritten the book on superhero adaptations, and it's hard to imagine it will botch the opportunity to reintroduce a character with so much potential to mainstream audiences. Over four seasons, HBO's fantasy drama has achieved the kind of buzz most networks can only dream about, turning once-obscure phrases like "Winter is Coming" and "Red Wedding" into entrenched cultural catchphrases. Though many of the best moments from George R.R. Martin's novels have already occurred in the TV series, the fifth season of Game of Thrones is likely to be the most sprawling, with fan-favorite characters like Tyrion Lannister and Arya Stark scattered across the world. TV shows rarely come more ambitious, or more compulsively watchable, than this. Building on a third season that was easily the show's best, HBO's scathing political satire returns as Julia Louis-Dreyfus' Selina Meyer — thrust into the nation's highest office after the unexpected resignation of the president — battles to keep her role in a contentious election. Veep is the ideal political satire for our time: hilarious, profane, and unfailingly committed to the idea that politicians on both sides of the aisle are petty, self-absorbed idiots. The second season of Orphan Black was a step down from the addictive, propulsive first, but no matter how much it went off the rails, the sci-fi head-scratcher would be worth watching solely on the basis of its star. Over the course of the series, Tatiana Maslany has successfully played more than a dozen separate characters (all clones), and the third season adds a new adversary in a set of male clones (Ari Millen). The genesis of Happyish is a sad story: the dramedy originally starred Philip Seymour Hoffman, who had already filmed the pilot before his sudden death. Those who have seen the originally Happyish pilot have testified to Hoffman's brilliance in the lead role, and while it's a shame that viewers will never get to see him in a recurring TV role, the new version of Happyish — which replaces Hoffman with Steve Coogan — still has plenty of promise. Happyish follows Thom Payne, a middle-aged ad executive who pushes back against a youth-driven culture as he staves off his own sense of irrelevance. Forget Homeland and The Affair — the best series on Showtime is Penny Dreadful. This wonderfully morbid period horror-drama packs in all the best elements of gothic fiction: ornate dialogue, gorgeous locales, a lavish orchestral score, and a never-ending stream of creepy, otherworldly creatures to tempt our heroes into succumbing to their darker sides. Anchored by an unmissable performance from Eva Green and an impressive comeback role for Josh Hartnett, Penny Dreadful is TV's most compelling horror show. M. Night Shyamalan's offbeat thriller series is so clearly inspired by Twin Peaks that it almost borders on plagiarism — but if you're going to crib, you might as well crib from the best. Matt Dillon stars as a Secret Service agent sent to investigate the disappearance of two fellow agents in a small Idaho town, only to discover that the entire town is a bizarre slice of Americana filled with strange secrets. Based on Shyamalan's recent pedigree and the ludicrous teaser video, Wayward Pines could easily turn out to be a fiasco — but it definitely doesn't look boring. Bryan Fuller's arty, gory take on the fictional killer is one of network TV's most unjustly overlooked dramas: gorgeous, strange, and embedded with a tense psychological depth. As Hannibal, Mads Mikkelsen is good enough to make you forget about Anthony Hopkins, and Hugh Dancy is every bit his equal as Will Graham, the troubled FBI profiler whose pursuit of Hannibal brought him to the brink of insanity. The Wachowskis have never equaled the towering, genre-expanding success of The Matrix, but no one can deny the ambition of their follow-up projects. Sense8, their first TV series (in a partnership with Babylon 5 creator J. Michael Straczynski), follows eight strangers from across the world who suddenly, inexplicably become mentally and emotionally linked. The cultshly adored comedic film — which follows a group of counselors through a surreal series of misadventures at a summer camp — is finally getting its long-discussed prequel in the form of a Netflix limited series. Impressively, the series has managed to assemble pretty much everybody from the movie's insanely stacked cast, including Amy Poehler, Bradley Cooper, Paul Rudd, and Elizabeth Banks. After successfully reinvigorating its sophomore drama Agents of S.H.I.E.LD., Marvel is delving into its past with the limited series Agent Carter. The story picks up in the mid-1940s, shortly after the events of Captain America: The First Avenger, as Peggy Carter (Hayley Atwell) embarks on a series of top-secret missions while combating the sexism of the era. This is Marvel's first project centered on a female protagonist, and a look back at the events that set up for blockbusters like Iron Man and The Avengers should provide a fresh and intriguing take on the Marvel universe. Server responsed at: 04/22/2019 4:10 p.m.